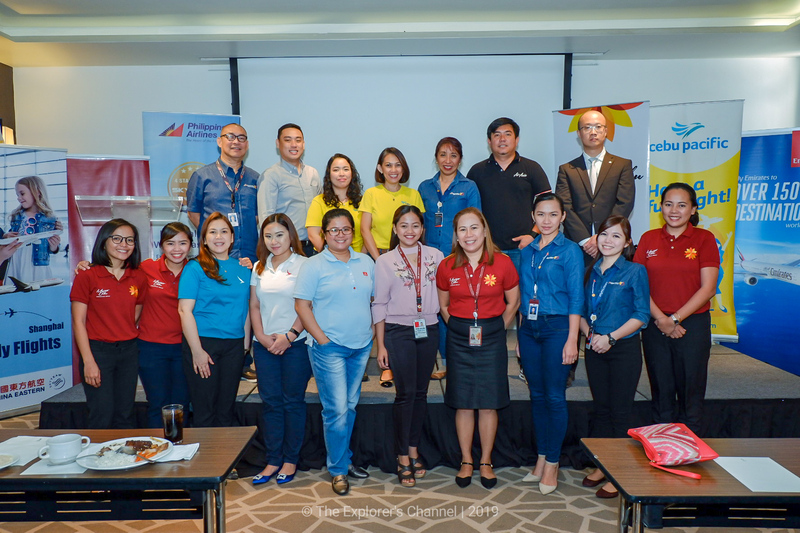 GMR Megawide Cebu Airport Corporation (GMCAC), together with partner airlines, promotes its new flights and services of Mactan-Cebu International Airport to its tourism stakeholders in Cagayan de Oro during its sales mission today at Seda Centrio. 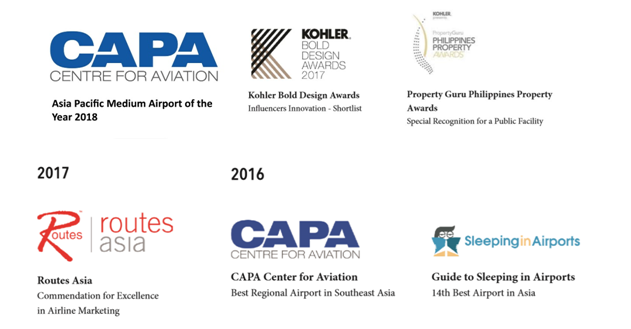 GMCAC, the private company managing the terminal operations and other related areas of the Mactan-Cebu International Airport (MCIA), has partnered with different airlines namely Cebu Pacific, Philippine Airlines, Philippines AirAsia, Cathay Pacific, China Eastern Airlines and Emirates to update travel agents, tour operators, and hotels of the new flights and different connections out of MCIA. 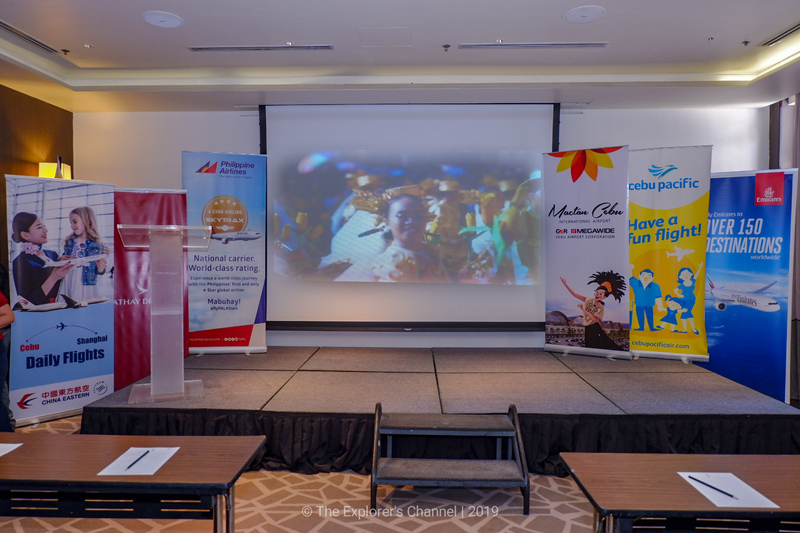 The sales mission is one of Mactan Cebu Airport’s marketing initiatives to keep tourism stakeholders, particularly travel and tour operators, informed of the recent developments in MCIA, highlighting the many destinations out of MCIA and the convenience that it offers to passengers who will use MCIA as their transit point. Considered as the gateway to Northern Mindanao, passenger traffic growth from Cagayan de Oro is observed to be among the highest in Region 10, making it an important market for MCIA. “There are students and business travelers who regularly fly between Cagayan de Oro and Cebu, and even beyond Cebu to other destinations in Central Philippines. Due to Northern Mindanao’s proximity to Cebu, Mactan Cebu International Airport is the most practical, convenient, and ideal transfer hub for the Kagay-anons and the rest of the travelers in Northern Mindanao,” said Aines Librodo, GMCAC Head for Airline Marketing and Tourism Development. 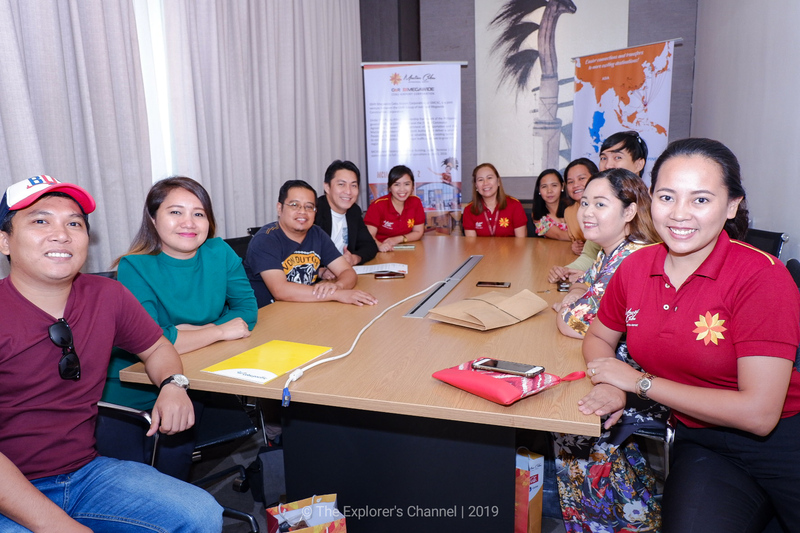 Now on its second year, GMCAC aims to institutionalize the sales missions every year, starting off with its first leg held in Davao last week. About 130 guests from various travel agencies, tour operators, and hotels attended the said sales mission. In the succeeding weeks, GMCAC will visit Bacolod, Iloilo, and Tacloban for its series of sales missions on February 12, 13, and 20, respectively. The Mactan-Cebu International Airport (MCIA) is the gateway to the Visayas and Southern Philippines and is the second largest airport facility in the country. In November 2014, Filipino-led developer GMR MEGAWIDE Cebu Airport Corporation (GMCAC) took over the development of the all landside facilities of the MCIA under a 25-year Public-Private Partnership agreement. 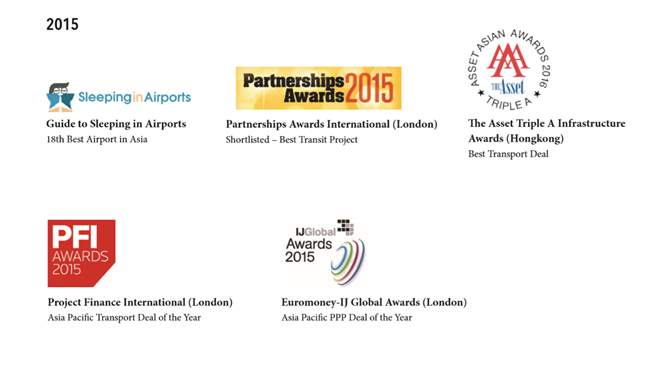 The contract includes the management and operation of the two terminals and any necessary expansions to these same facilities to ensure that MCIA can meet the demand of its steadily growing passenger traffic. Korea, China, and Japan both continue to be strong markets for Cebu. Currently, scheduled flights from MCIA connect to seven destinations in mainland China, namely Shanghai, Guangzhou, Chongqing, Fuzhou, Xiamen, Kunming, and Shenzhen. Charter flights are also available during the peak season to other cities including Hangzhou, Nanjing, Wuxi, Wenzhou, and Chengdu. GMCAC also aims to promote Cebu to untapped markets such as Australia, North America, Europe, and other ASEAN countries. As soon as GMCAC took over operations of Terminal 1, the company implemented an initial yet substantial renovation to increase the passenger handling capacity of which was back then the only terminal. These improvements were implemented ahead of the Concession Agreement schedule and ran in parallel to the construction of Terminal 2 (T2), to improve the airport’s passenger service levels. T1 was originally built for just 4.5 mppa. T1 is now undergoing full renovations and once completed, will be able to handle more than 11 mppa. Its gross floor area will also increase from approximately 38,000 sq. m to about 45,000 sq. m. Phase 1 of the renovation will be completed by mid-year 2019. To reduce congestion, GMCAC embarked on the installation of a passenger reconciliation system to immediately scan boarding passes, a first in any Philippines airport; installed self-service check-in kiosks; expandable check-in counters; new baggage handling system; installed four X-ray machines at the Final Security Check; new Immigration counters; and swing gates or alternate gates for international or domestic boarding areas. To improve the terminal’s ambiance, there are now more retail and dining options from international and local brands; installed new seats that offer comfort; and expanded and refurbished existing washrooms to mirror those found in hotels. Mactan-Cebu International Airport’s (MCIA) new Passenger Terminal Building called Terminal 2 (T2) commenced its full commercial operations on July 1, 2018. It is one of the flagship projects under the administration’s Build, Build, Build infrastructure program, and the first airport project inaugurated on June 7, 2018 by President Rodrigo Duterte. Spanning 65,500 square meters, Terminal 2 is dedicated to serve all international flights. With the addition of a new terminal, MCIA will increase its total passenger capacity from 4.5 million to 12.5 million. Designed by Hong Kong-based architectural firm Integrated Design Associates Ltd (IDA), together with world-renowned Filipino designers, the concept of the new terminal is inspired by the natural landscape of the Philippines, the locality of Cebu, and the warmth and hospitality of its people. Envisioned with a unique design that demonstrates the warmth and friendliness of the local culture, Terminal 2 is set to transform MCIA into a world-class facility and resort-gateway. It has a two-level forecourt that segregates both the Departures and Arrivals area. The Departures area is divided into four check-in halls with 48 counters in total. At the arrival level, there’s a provision for seven (7) passenger boarding bridges, which can be expanded to 12. For easier movement and access, there are 12 escalators and 15 elevators positioned all throughout the terminal. A car parking facility will be constructed that can accommodate 550 cars and expandable to 750 cars as needed. There will also be an array of food and retail choices, including a mall and a hotel. GMCAC maintained its commitment to commission the terminal on time to provide the much-needed capacity for international passengers and at the same time decongest Terminal 1 for the benefit of domestic passengers.